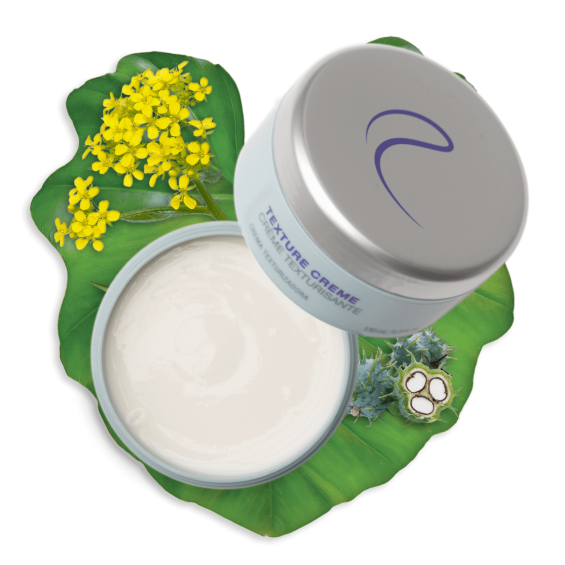 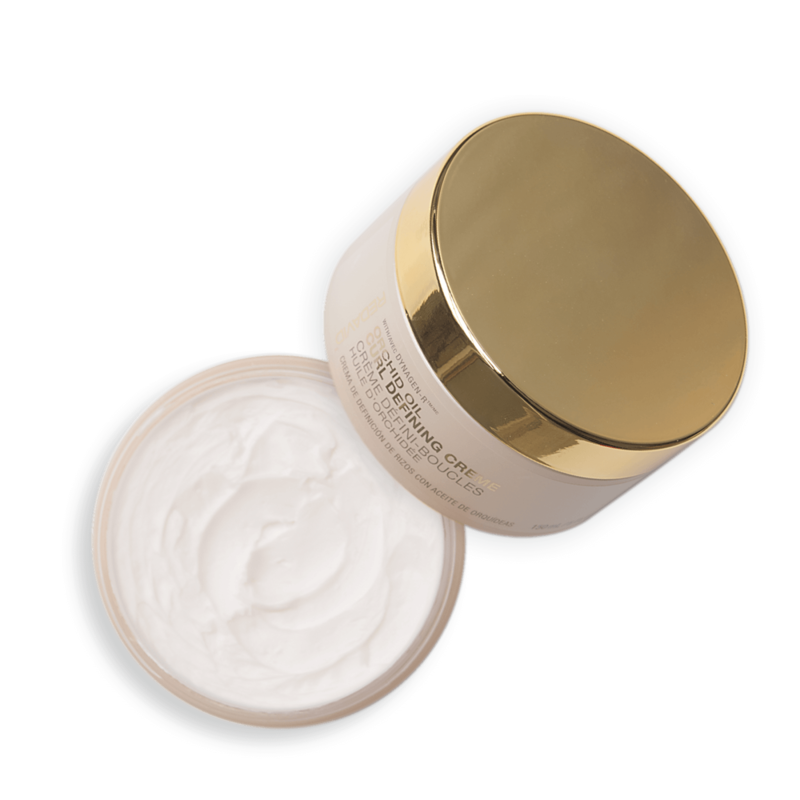 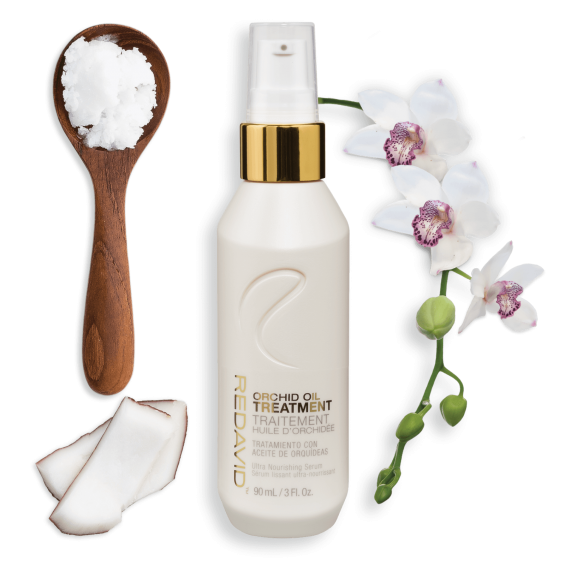 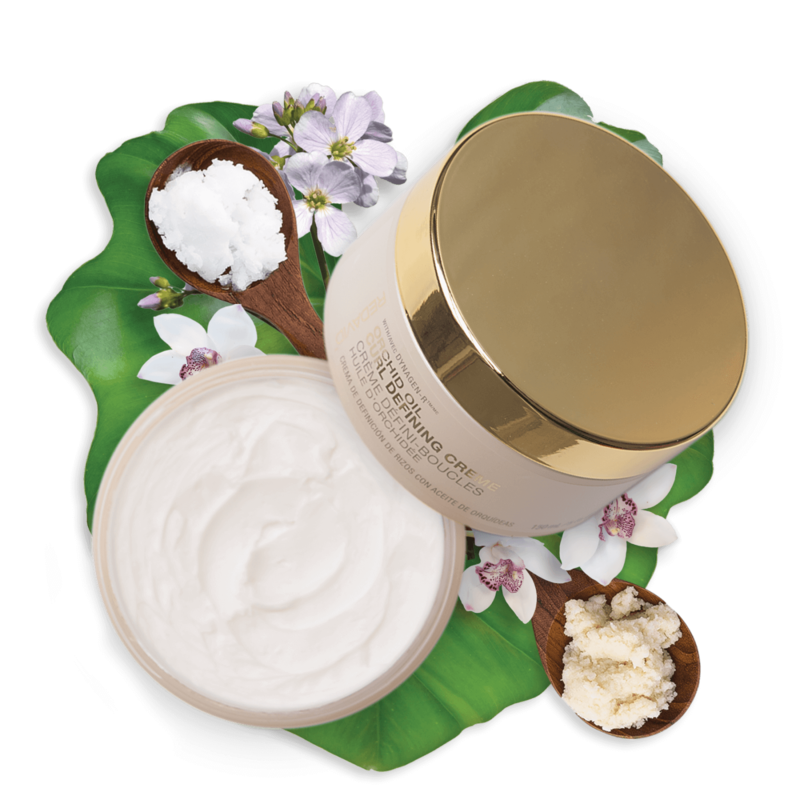 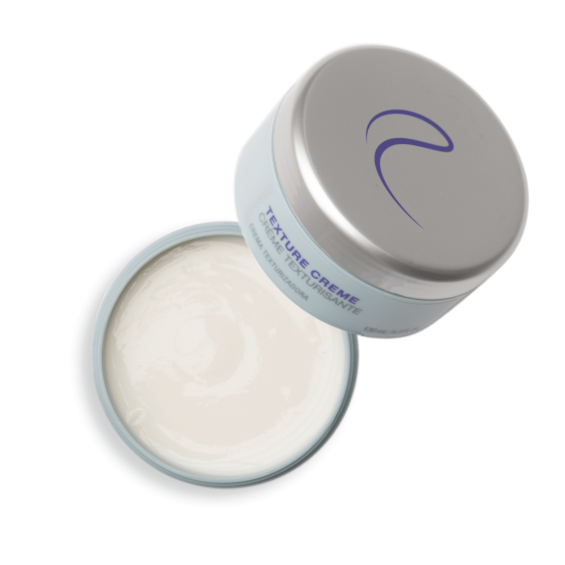 Taming even the unruliest and damaged hair, this rich creme will leave your curls healthy, radiant and supple. 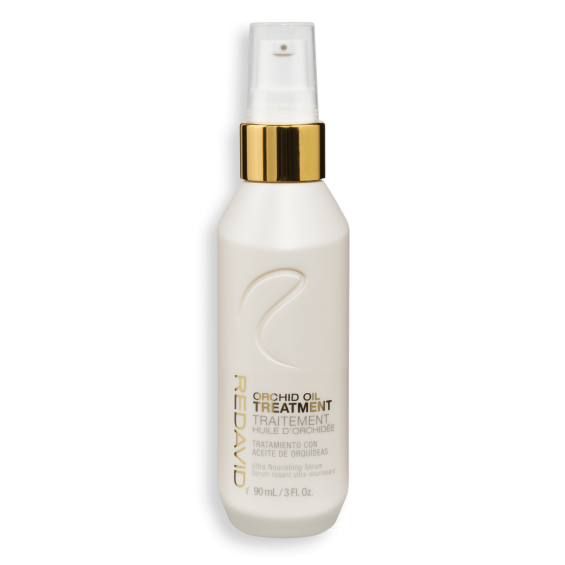 Recommended for: All types of curly hair. 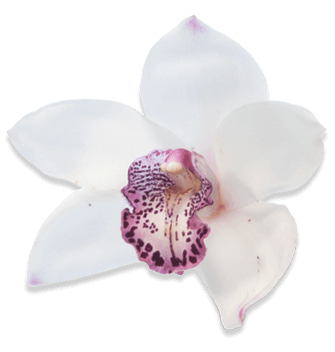 Harvested using a gentle infusion process, orchid oil is extracted from the stems and flowers of the Cymbidium orchid, AKA the boat orchid. 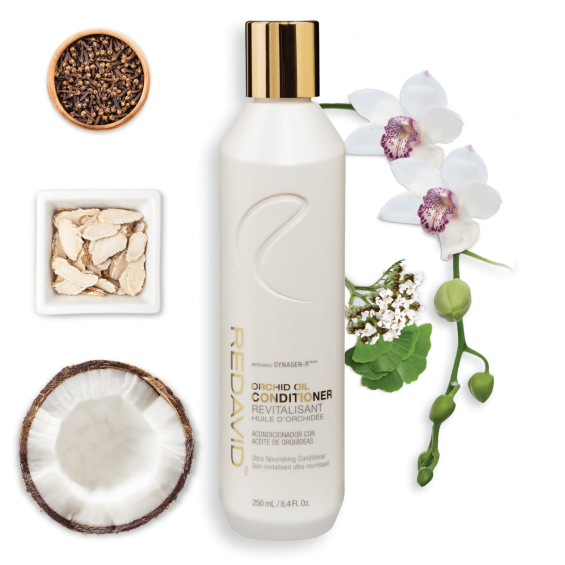 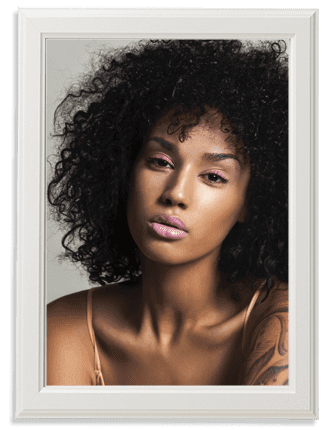 In addition to its frizz controlling properties, in clinical trials it was discovered that orchid oil helps fill in the cracks and imperfections in each and every hair strand, restoring natural hair shine. 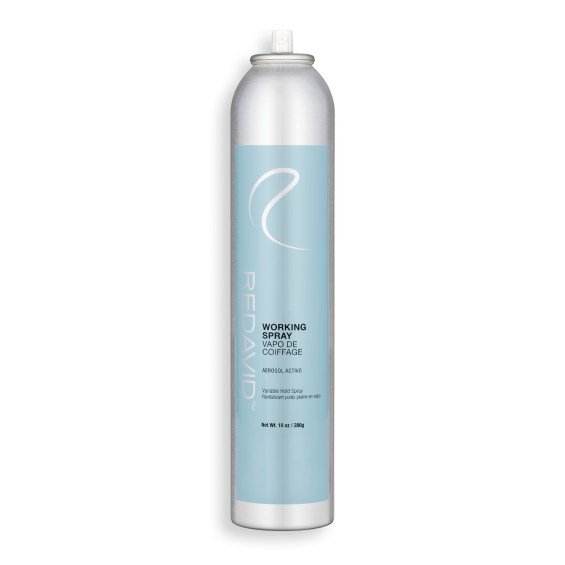 Additionally it acts as an external moisture balancer, possessing both hydrophillic and hydrophobic properties. 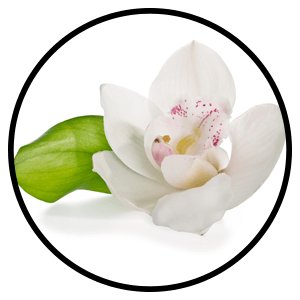 Orchid oil contains Orchicyanin I, Orchicyanin II and Cyanin, all of which form Reactive Oxygen Species (ROS), scavenging up to 4x more free radicals than Vitamin E & Vitamin C! 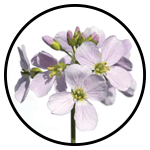 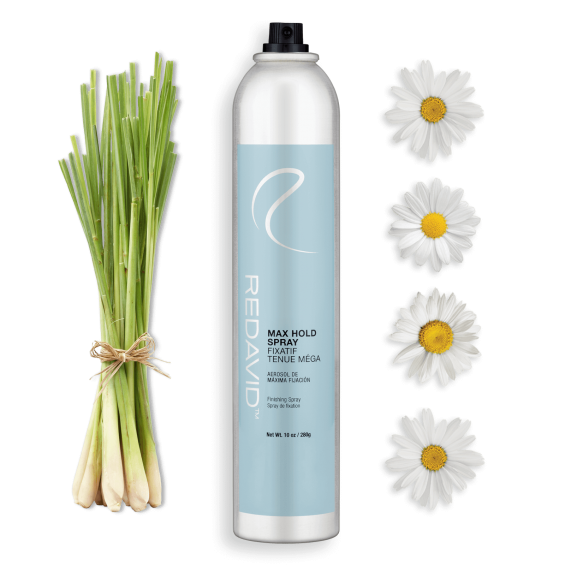 The unique oil of the meadowfoam flower is comprised of 98% long-chain fatty acids, offering exceptional moisturizing and rejuvenation benefits to hair and scalp. 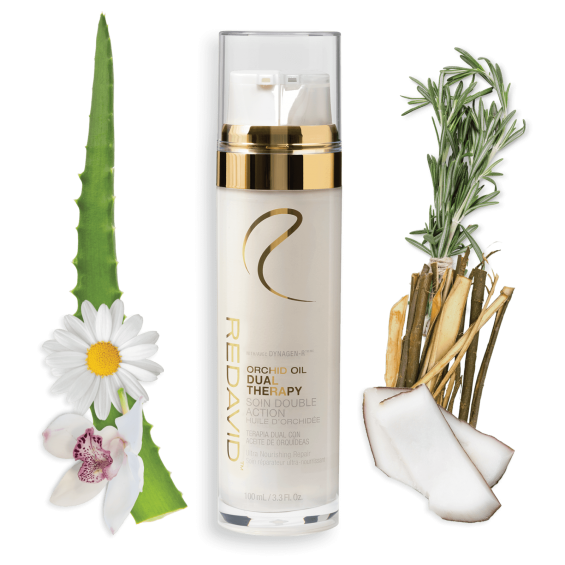 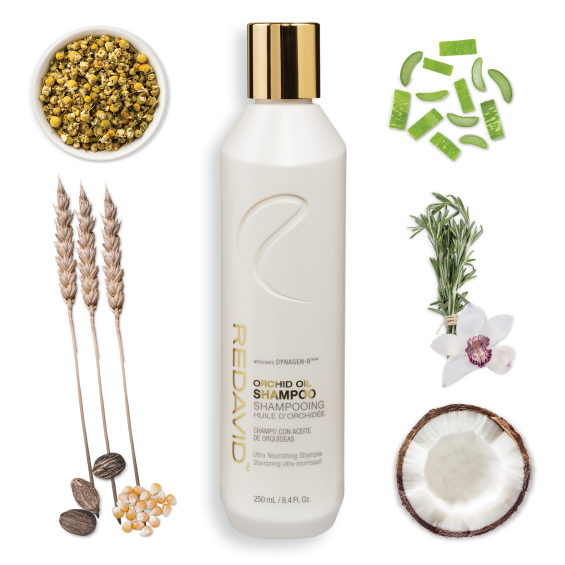 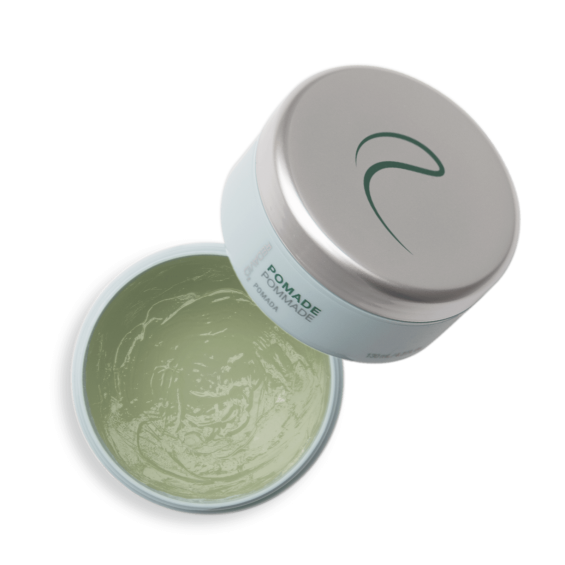 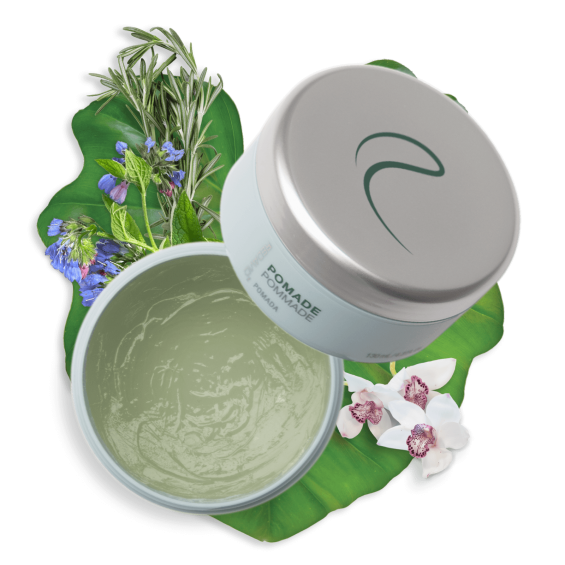 Extracted from the crushed seeds of the meadowfoam plant, the oil adheres to the hair shaft and creates mirror-like shine. 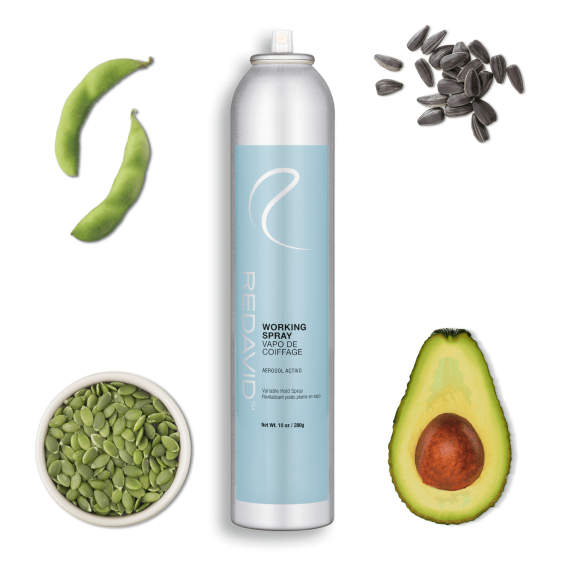 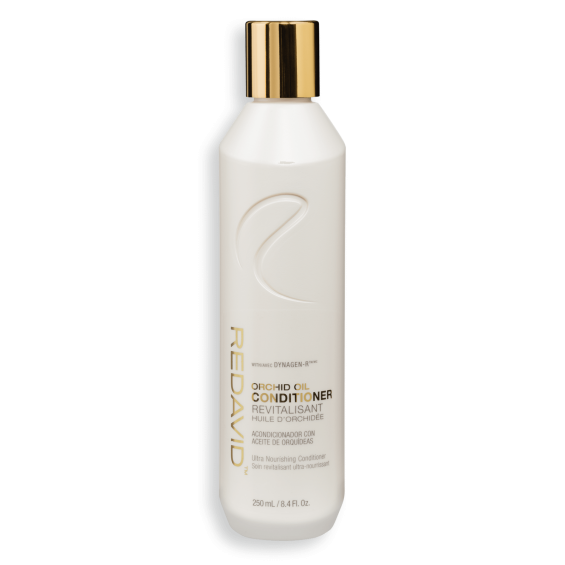 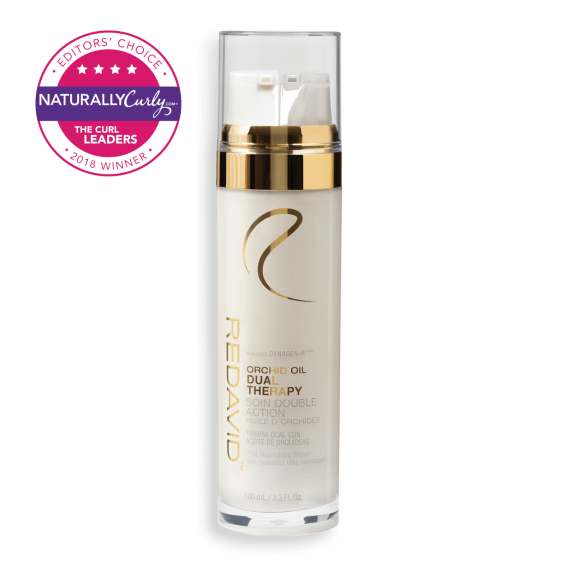 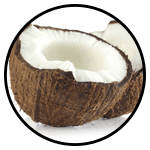 Additionally, it offers moisture retention, frizz control and helps to fight free radical damage. 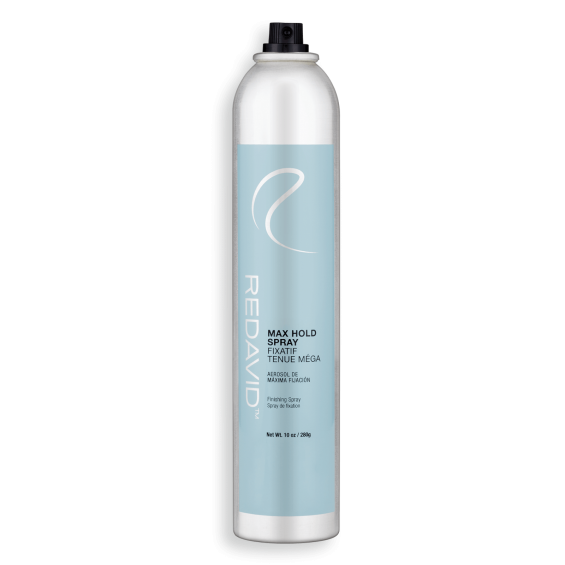 Water/Eau (Aqua), Petrolatum, Cetearyl Alcohol, Polysorbate 60, Glycerin, Behenyl Alcohol, Hydroxyethyl Cetearamidopropyldimonium Chloride, Dimethicone Peg-8 Meadowfoamate, Disodium Lauriminodipropionate Tocopheryl Phosphates, Caprylic/Capric Triglyceride, Cymbidium Grandiflorum (Orchid) Flower Extract, Hydrolyzed Yeast Protein (Dynagen-Rtm/Mc), Panthenol, Sodium Polyacrylate, Phenylpropanol, Propylene Glycol, Methylisothiazolinone, Diazolidinyl Urea, Iodopropynyl Butylcarbamate, Fragrance (Parfum).